One thing that always helps seal interest in a movie is someone you respect telling you how good it is. 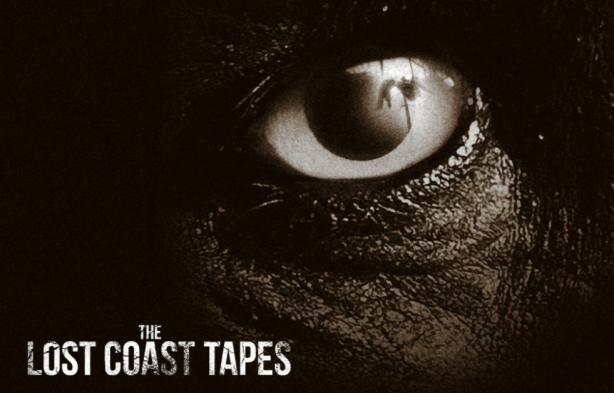 For Bigfoot enthusiast one person that fits the bill is Bobo from Animal Planet's Finding Bigfoot and he's recently gone on record endorsing "The Lost Coast Tapes" calling it "the best Squatch movie I've ever seen." Check out his endorsement and a tiny bit of never before seen footage from the soon to release found-footage horror. First, it pleases me that Bobo was actually used as adviser for all of the Bigfoot sequences in the upcoming horror. As I've said previously, I'm a huge Bigfoot enthusiast and hearing that the production team behind "The Lost Coast Tapes" has gone ahead and used someone like Bobo for advising helps to let me know they are taking not only this film seriously, but the lore of Bigfoot that so many fans hold close to their heart. Which is super important because Bigfoot has been sorely under-utilized in cinema and I'd hate to see The Lost Coast Tapes end up a sore thumb for Cryptid fans around the globe. As for the footage, it is an incy-wincy tease that really does a nice job of letting audiences know the kind of terror they are in for. We are definitely not getting a tame Bigfoot from the likes of "Harry and the Hendersons." Oh no, this is a huge leap away from family fare. Based off the bit footage, "The Lost Coast Tapes" wants show audiences that Bigfoot is not playing nice. Now that we know Bobo is backing the found footage project and we've seen ourselves a tease, I'm really looking forward to seeing a trailer. The approach to that trailer is important I think though, this feels like a project that really should remain elusive. Audiences must want to find out more, but they shouldn't be given too much of that information before stepping into the theater. "The Lost Coast Tapes" was recently picked up for distribution outside of the U.S. and is currently seeking domestic distribution.